The forest next to Kathmandu airport will not only be preserved but will even be enhanced by the dedicated landscape architecture. The purpose of developing our security offer is to make our colleagues aware of the benefits of new airport protection systems and to find ways and means of making our expertise available to our clients for deploying this type of solution. ADP Ingénierie's added value in designing the extension of the existing terminal at Al Maktoum International Airport was in finding the solution that addressed both the need to increase capacity and the major constraints related to the building's tripod architecture. 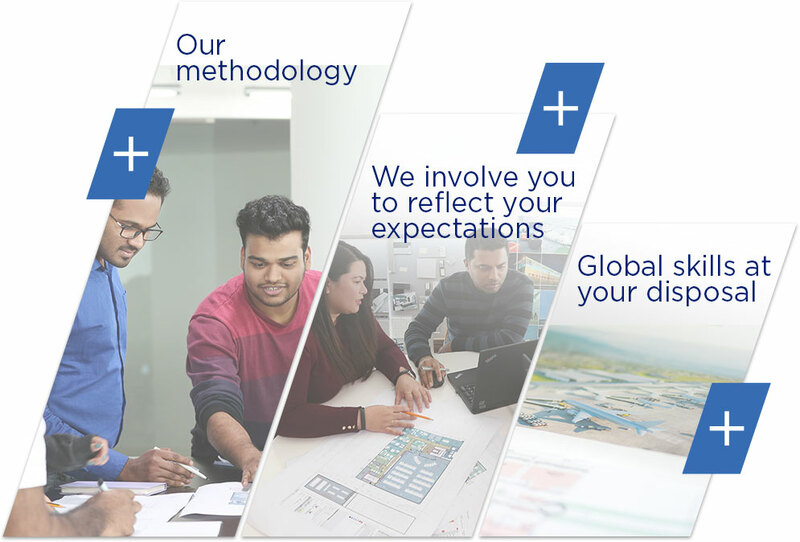 In order to prepare the future and maintain our leadership in engineering and airport planning, we never stop looking for new talents to complete our teams.